The Royal Commission, in partnership with Bangor University and the Nautical Archaeology Society, have been given a grant to pursue the development of a new Great War commemoration project. Some 170 shipping and aircraft losses relating to war at sea are recorded in the National Monuments Record of Wales. Each site has the potential to act as a focus for commemoration, but 14 have initially been selected for underwater exploration to enable the Great War story to be told from both the Allied and German perspectives. 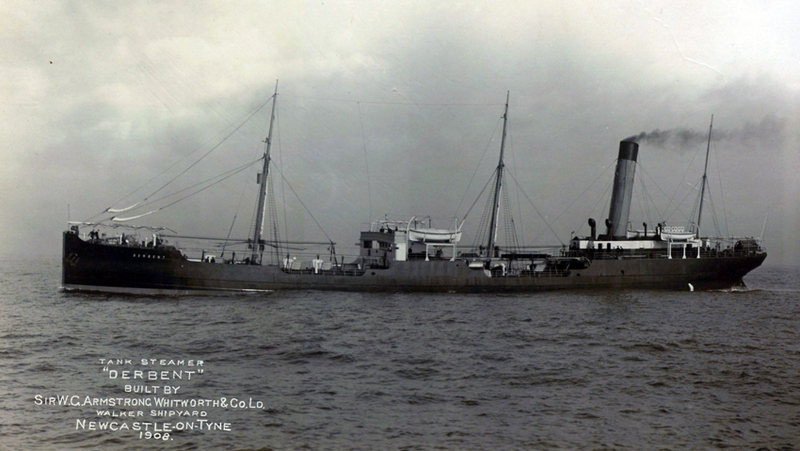 The sites include British and German submarines; HMS PENSHURST – the Royal Navy’s most successful Q-ship or decoy vessel; HMS DERBENT a tanker which played an important part in refuelling naval vessels in the Mediterranean during the Gallipoli campaign; large merchant ships carrying Welsh coal to key theatres of the war as well as coasting vessels from the last days of sail. The new underwater survey data will be combined into 3D interactive models to be displayed on a dedicated website. After 100 years underwater, the wrecks have become fabulously rich colonies of marine life. It is hoped that the project will provide opportunities for volunteers to assist with species identification. 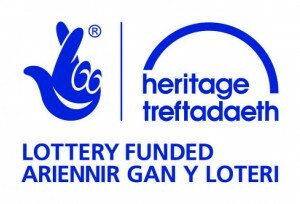 The project has been developed in collaboration with Welsh museums and the Archives Network Wales, whose kind letters of support have provided a great deal of inspiration for the initial work programme. It is hoped that many of the project’s outreach activities will be linked into maritime museums, with each participating group having the opportunity to contribute a display panel to a mobile exhibition. The exhibition will be launched at a conference in 2018. Remembering those who gave their lives for their country, and who have no grave but the sea. 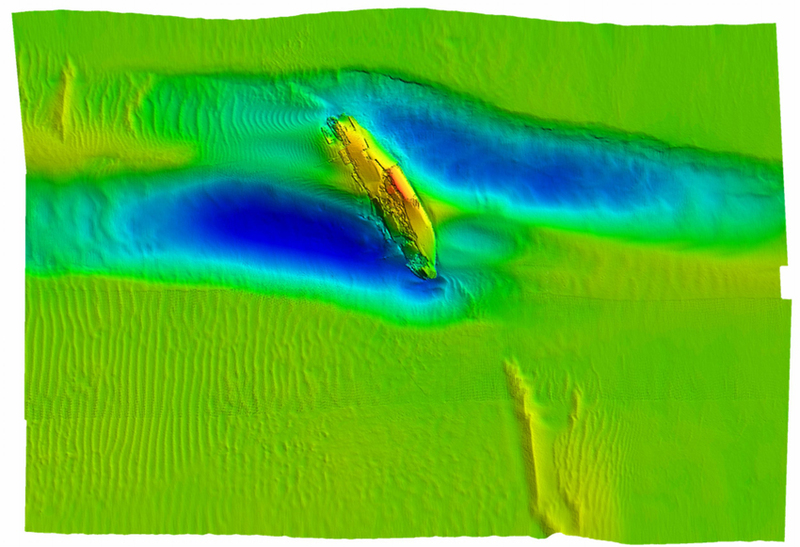 A multi-beam echosounder survey of the APAPA undertaken by SEACAMS, Bangor University, which shows the two large areas of seabed scour (darker blue) caused by the currents which flow around the wreck. In March 1915, the DERBENT was in the Mediterranean at Port Mudros and Tendos refuelling naval vessels such as HMS PHAETON and HMS INFLEXIBLE, which were attempting to seize control of the Dardanelles Straits during the Gallipoli Campaign.